In a recent survey, only about 18 percent of businesses polled claimed to have fully embraced the power and potential of DevOps. As the number of companies adopting DevOps increases, so do the challenges they will face. While DevOps is a great way to improve the productivity and workflow of your business, you may face challenges related to infrastructure and compatibility with legacy systems. Being able to deliver software and applications at a high rate of speed is only possible when properly using DevOps. Many companies use Microsoft’s Internet Information Services (IIS) when developing and launching their programs. Making sure these programs stay functional will require a great deal of work and monitoring. Professionals in the DevOps world can learn more about IIS monitoring by reading this piece on how to monitor IIS performance: basics to advanced. 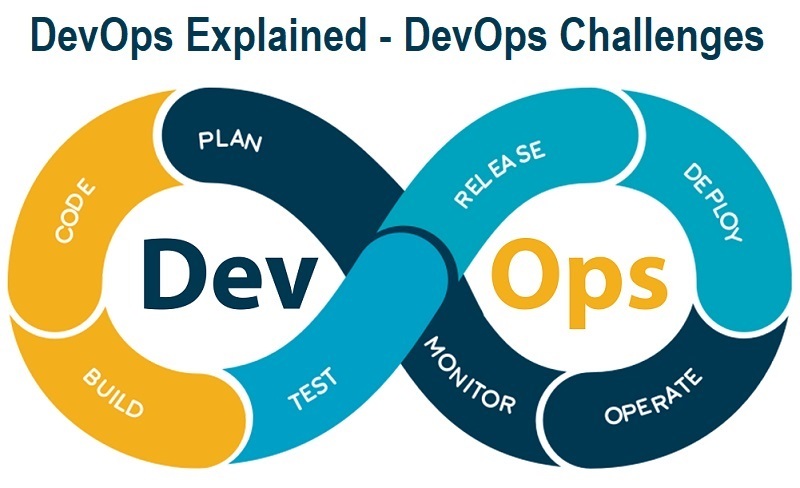 Are you looking for information about DevOps challenges facing modern businesses? If so, read below to find out more. One of the main challenges you will have during the software development process is instituting the right company culture. As more and more companies embrace the convenience of remote workers, they are confronted with the challenges of keeping everyone in constant communication. Rather than letting these challenges affect productivity, you need to institute a culture of collaboration and shared goals. Before developing a team for your app or software building project, you will need to check out their background. Ideally, you will want to find people who have proven themselves in the DevOps world. Since modern DevOps teams have a number of moving parts, you will need all hands on deck when it comes to keeping things moving along. This is why putting together an experienced team is a must. The biggest mistake you can make when developing new software and apps is failing to test them before they are launched. There are a number of companies who neglect to automate the testing process during a DevOps project. This can lead to a number of issues getting under the radar and affecting the program’s functionality. When putting together a testing schedule for your DevOps project, you will also need to speak with your team about securing the program. Failing to plan for adequate security from the outset of this project can be disastrous. Treating app or software security as an afterthought will lead to big holes being created in the program’s infrastructure. These holes can be used later on by hackers to infiltrate and gain access to sensitive information within your program. Most of the programs that are developed by businesses will need to run alongside a number of legacy systems. While this may not sound like a big deal, it can definitely throw a wrench into your DevOps project if these issues are not addressed from the outset. Often times, you will have to install new hardware or even software to allow your new apps or programs to coexist with legacy apps. In most cases, there will be a lot of trial and error when it comes to choosing the right programs to make this coexisting possible. Rather than letting this process frustrate you will need to use it as a learning experience. The knowledge that you gain during this process can be used in future DevOps projects. During the planning phase of a DevOps program, you and your team need to talk about the architecture of the program being developed. Having a plan of how this program will be used and what environment it will be implemented in is vital. Will the program be cloud-based or set up on in-house servers? Having the answers to these questions can help you avoid problems in the future. If your new app or program will be used on the cloud, you need to make sure it can be easily deployed in the existing environment. You will also need to make sure that the app is properly secured before launching it. Once you have let the beast out of the box, it will be hard to reel it back in and make changes. You can avoid the headaches caused by app functionality issues by planning out your DevOps project in detail ahead of time. Creating a clear path to your goal is an essential part of a successful DevOps project. You and your team will need to work extensively on developing a goal for your project, setting milestones and delegating the various tasks involved in bringing a program to life. Trying to have success with a DevOps project without a plan is nearly impossible. These projects usually have a lot of moving parts. If all of these different parts are not properly managed, it is only a matter of time before the wheels start to come off. By having a concrete DevOps plan in place, you can track the progress being made and address any problems that have developed. Some business owners mistakenly think that just because they are using open source tools in their DevOps project that they don’t need to set a budget. While open source tools can help to save you money, there are still plenty of other elements you need to pay for. Once you have finished developing your app or software program, you will need to pay to host and deploy it. The best way to save money on this expense is by using cloud-based hosting. Not only can use the cloud save you money, but it also allows you to scale your app with the push of a button. The level for flexibility will help you get the most out of your new program. The main thing you need to worry about when trying to make a DevOps project successful is staying organized. Properly delegating will allow you to get work done without having to handle it completely on your own.